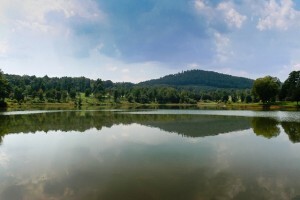 Our community in located in Columbus, NC, which is very close to the SC/NC state line. Columbus is bordered by Tryon, NC and Landrum, SC. We are approximately 10 minutes from I-26 Exit 1 in Landrum. For GPS purposes, the sales office address is 400 Landrum Road, Columbus, NC 28722. Please note that some GPS units believe that 400 Landrum Road is closer to I-26 than it really is, so look for the cottage with the stone entryway and circular driveway, it’s to the right of the Derbyshire main entrance. I would like to visit Derbyshire, what should I do? We would love for you to come and visit our community! The Derbyshire Sales Office is open by appointment only. If you know when you would like to visit, it would be best to call (828.863.2660) or email (info@DerbyshireNC.com) ahead to make sure that we are available for you at that time. Since we have a smaller team, our schedules can sometimes fill up at particular times during the week, and we want to make sure that we can give you our unhurried, undivided attention. Does Derbyshire sell home/lot packages or just land? 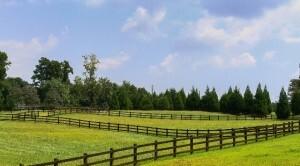 Derbyshire specializes in selling just the homesites and private farms in our community. We have partnered with our preferred builders to offer spec homes, but they are owned by the individual builders. Many of our residents have preferred to customize their home design prior to building, so we believe that it’s best for us to help prospective property owners pick out the ideal homesite for their needs, have them choose a builder, and let them use the Derbyshire Covenants, Conditions, and Restrictions and Derbyshire Design Guidelines as guides to create a home that is perfect for them. Are property owners required to use a Derbyshire preferred builder or can they bring their own builder? We have several builders that we have really enjoyed working with here at Derbyshire, but property owners are not required to choose one of them. They are welcome to bring their own builder so long as the builder meets the Architectural Review requirements for Derbyshire builders. What are the current Derbyshire POA fees? Our fees are $120 per month, and this is budgeted to cover the maintenance of all of the shared spaces in the community (roads, entrances, green spaces, etc. ).